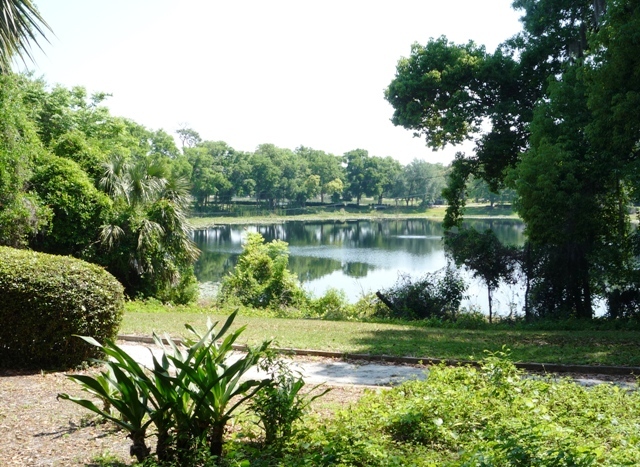 To be a Certified Wildlife Habit like Thurston House bed & breakfast in Central Florida, you need to be committed to the wonderful world of wildlife. The first step I told you about mentioned the importance of having native plants. The 2nd step is providing water to wildlife. Thurston House is fortunate to overlook beautiful Lake Eulalia, but we also have a bird bath and a shallow dish that both provide water. If you have any of these things, or even a natural spring or stream on or near your property, you would certainly qualify! Keep tuned for step #3! 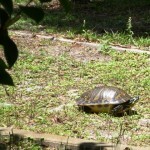 A Turtle Comes to Visit our Maitland yard! 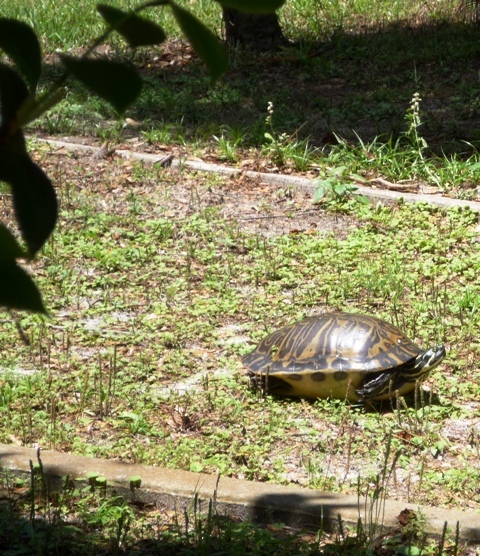 We often have turtles come out of Lake Eulalia and trudge up to our Thurston House Bed & Breakfast yard to leave their eggs in a sandy and safe area. This one is perhaps the biggest I have ever seen! This all is part of why our yard has been designated a Certified Wildlife Habitat. To be certified as such, we are required to provide a quality habitat, including food, water, cover and places to raise their young. 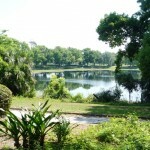 We are such a place, and it is truly amazing that we are located only 5 miles from downtown Orlando!